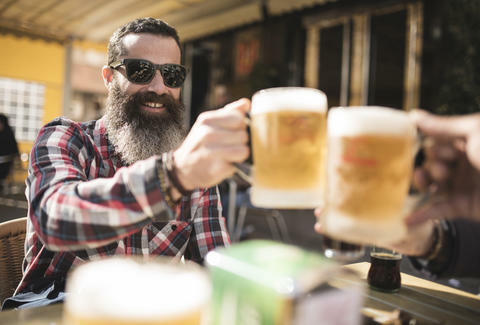 If you already spend your happy hours demonstrating your unapologetic beer nerdery and self-described expertise in all things craft beer, you might as well get paid for it, right? Well, now you can -- without having to work your way into the actual brewing industry -- thanks to a badass-sounding new position at the Smithsonian museum: beer historian. As explained in a report by the Washington City Paper, the Food History Project at the august Smithsonian National Museum of American History in Washington D.C. is hiring an official beer historian/scholar for a three-year appointment. The career opportunity could very well be your chance to finally put all of the beer knowledge you've soaked over the years to good use, and by good use, we mean earning the $64,650 salary (and benefits). That's right, you can earn a damn good living by researching, documenting, and -- more than likely -- drinking beer. As for specific qualifications, the official job posting states, "The successful candidate will have proven experience in scholarly research, organizing and conducting oral history interviews, writing for both scholarly and general audiences, and knowledge of material culture and archival materials... Candidates with an advanced degree in American business, brewing, food, cultural, or similar specialization within history are encouraged to apply." This is all just academic speak for traveling around the country drinking -- or "documenting" -- tons of craft beer all day, right? Well, we certainly hope so. To apply for the prestigious beer historian job, you must submit a CV, cover letter, and details for three references by August 10th. The job listing page has all the details you need. Apply -- and, uh, research -- responsibly. Tony Merevick is Cities News Editor at Thrillist and is currently dusting off his resume. Send news tips to news@thrillist.com and follow him on Twitter @tonymerevick.